A blog about my thoughts regarding music, technology and philosophy. You will read about production methods, some tools that I like and a strong opinion about certain things. VST? VST2? VST3? WTF? and now: VST Sound? What are all these abbreviations about? Let's start with a history lesson. VST stands for Virtual Studio Technology and has been released by Steinberg in 1996. It has since transformed the way we all produce music. It opened up an entire ecosystem to programmers and musicians alike. All that for free. But the development of VST Plug-Ins requires profound programming knowledge and deep understanding of the technology itself. Enter HALion 6 and VST Sound. HALion 6 is Steinbergs sound design and instrument development environment. Starting as a humble software sampler in 2001 (before Kontakt even existed), it has evolved into a powerful, hierarchically organised, modular system. Today it spans multiple synthesis methods and a full suite of professional studio effects. It also contains an instrument distribution tool called Library Creator. The Library creator tool can export VST Sound files. This is where we finally get to the point: VST Sound files can theoretically contain anything. But in the context of instruments, they contain audio sound files, preset data, HALion module and effect presets (called Sub Presets, as their settings can be part of presets) as well as the graphics and scripting logic required to create completely new products based on the powerful HALion engine. VST Sound allows instrument designers to focus on creativity, quality and inspiring solutions because no low level coding is required. Most of the math, graphics and driver code is already handled by the HALion engine. There is also no headache to maintain operating system or plugin format compatibility as a VST Sound file will run anywhere HALion is running. This means a VST Sound instrument runs instantly on macOS or Windows in any AAX (Pro Tools), VST3 or AU(Mac) compatible DAW. How can I use VST Sound files? This is almost the best part. After installing a compatible HALion version all you need to do to run Install a new VST Sound instrument is a doubleclick on the VST Sound file. You heard that right! Even massive, hundreds of gigabyte sized Libraries can be installed and moved using the Library Manager which is installed with HALion. Even better: Most designers will aim to make their products compatible with the free version of HALion called HALion Sonic SE (don't ask me how these names came about...). So you do not even need to purchase HALion to take advantage of the amazing instruments created for that platform. VST Sound is a versatile, easy to distribute format for instrument and sample libraries. Most libraries will run in the free HALion Sonic SE 3 (or higher). Development of VST Sound instruments does not require low level system or dsp knowledge and allows anyone to create exiting instruments using HALion 6. 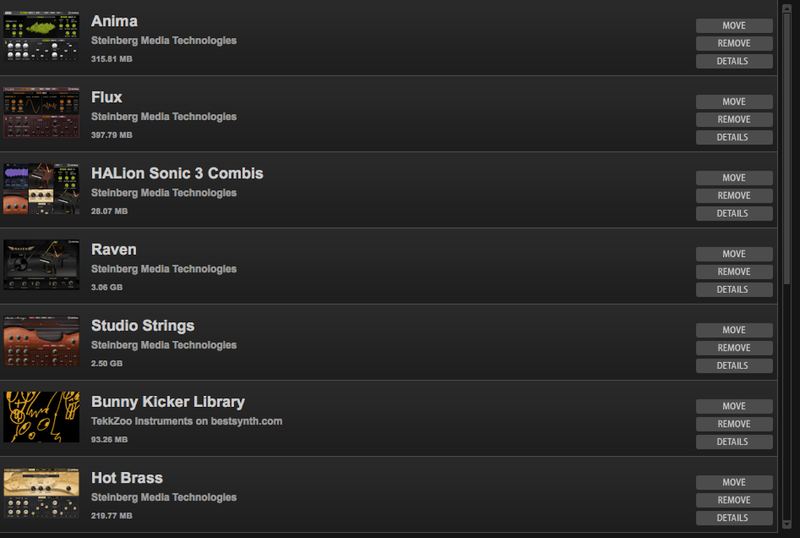 All in all a great new way to increase a musicians or sound designers arsenal of inspiring creative tools. TekkZoo Instruments BunnyKicker Available now! This is a great moment as all the hard work so far finally accumulates in the release of the first instrument for TekkZoo. BunnyKicker is, as most of the readers here will probably know, a KickDrum Synth for the freely available HALion Sonic SE platform from Steinberg. Alert! Announcing a last minute feature addition. Usually it is not recommended to add last minute features, but due to popular request from testers, sample playback gets the choice between one shots or playback for only for as long as the note is held. Bunny Kicker is making good progress and the next product is already in the start position. Yes! The first video appearance of the upcoming TekkZoo Bunny Kicker! to be in the select Group who will first hear once this amazing tool will be available! Yes! Yes! 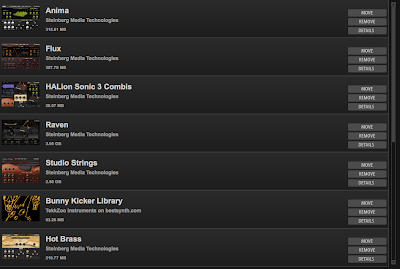 I created a playlist for the upcoming TekkZoo.com Bunny Kicker Instrument. It will allow you to create massive and interesting kick drum and percussive sounds in no time. You will even be able to use your existing sample library and beef it up with transients and low end! Subscribe now to the newsletter at https://tekkzoo.com and be first to know once this great instrument becomes available. First TekkZoo Bunny Kicker testrun now on Soundcloud! This is an exciting moment as I finally start creating sounds for my new kicksynth instrument called "TekkZoo Bunny Kicker". It is a synth for Steinbergs amazing, free (as in beer) HALion Sonic SE 3 platform. Enjoy the first steps and subscribe to the mailinglist to be first to know once it is available for purchase! After beeing fed up working for fortune 500 companies I returned to the media industry, and boooooy! It feels good to be back. No more public traded american business craze. How can anyone think that is sustainable? Whatever, this is about what I really love: Music, Philosophy, Technology and combining this with family live ;) Feel invited to join the ride.